Soybeans are an earth friendly, natural resource grown right here in the United States. Soy wax opens a new market for our farmers and creates new job opportunities. Not only is soy wax an environmentally friendly, bio-degradeable wax, it offers a clean burning alternative to paraffin wax. Paraffin wax is a petroleum based product that is know to emit toxins into the air as it burns. There are 11 known carcinogens in paraffin wax including benzene. The wax we use in our candles is 100% soy, meeting vegan criteria and is healthy for our home and safe for the environment. We at Just Common Scents are committed to bringing you a high quality, earth friendly candle that is both pleasing to the senses and safe for the environment. So light up and enjoy! 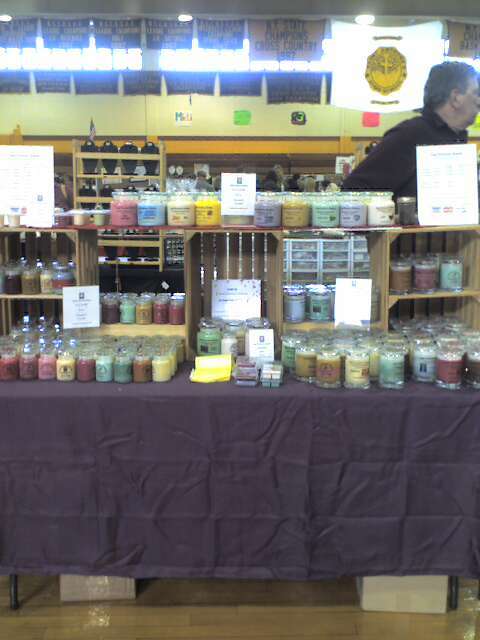 We are a family owned business that has been making quality candles for over 10 years. We started in Texas and opened on Long Island 8 years ago. We saw a need for quality environmentally safe and affordable candles and that's what we do. Please be patient while this site is being developed. Copyright 2014 Just Common Scents. All rights reserved.